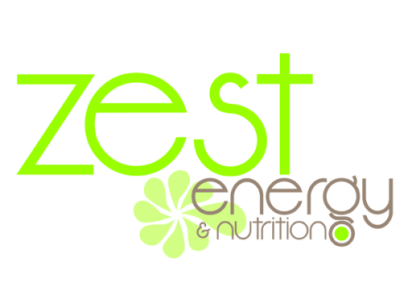 Zest Energy & Nutrition holds some information about you. This document outlines how that information is used, who we may share that information with and how we keep it secure. This notice does not provide exhaustive detail. However, we are happy to provide any additional information or explanation needed. Any requests for this should be sent to info@zestenergynutrition.com. We keep our Privacy Notice under regular review. This Privacy Notice was last reviewed in June 2018. Zest Energy & Nutrition provides nutritional therapy services to clients to improve their health through diet and lifestyle interventions. We focus on preventative healthcare, the optimisation of physical and mental health and chronic health conditions. Through nutritional therapy consultations, dietary and lifestyle analysis and biochemical testing, we aim to understand the underlying causes of your health issues which we will seek to address through personalised dietary therapy, nutraceutical prescription (supplements) and lifestyle advice. Following completion of your healthcare we retain your personal data for the period defined by our professional association BANT. This enables us to process any complaint you may make. In this case the legal basis of our holding your personal data is for contract administration. If you would like to invoke any of the above rights then please write to the Data Controller at Zest Energy & Nutrition or email info@zestenergynutrition.com. Zest Energy & Nutrition is registered with the Information Commissioner’s Office (ICO) as a data controller and collects data for a variety of purposes. A copy of the registration is available through the ICO website (search by business name). All records held by Zest Energy & Nutrition will be kept for the duration specified by guidance from our professional association BANT. If you have a complaint regarding the use of your personal data then please contact us by writing to the Data Controller at 50 Sandbanks Road, Poole, Dorset, BH14 8BY or email info@zestenergynutrition.com and we will do our best to help you.